Diode Laser is the hi-technology in body contouring, fat reduction. Diode Laser can offer you a safe, non-invasive, and painless alternative to traditional fat reduction procedures. 40.5KHz ultrasonic cavitation causes violent vibration within fatty cell, and resulted in producing the innumerable . Triglyceride decomposes into glycerine and free fatty acid, utilizing tripolar RF (6Mhz) to cause the decomposition of the glycerine and the free fatty acids discharges outside the body through hepato-enteric circulation, thus achieved the fat reduction, cellulite reduction and body slimming. 635nm Diode Laser could help the RF energy reach to deeper skin layer, thereby, achieve better result. Besides, the red light of diode laser itself could also undergo fat lipolysis, accelerate metabolism, therefore, enhance treatment results on body contouring, and also relief fatigue. Serious disease, such as heart disease, gastric ulcer, serious gastropathy, duodenal ulcer, high blood pressure, diabetes. Pregnant women, lactating women, an abdominal operation within three months, menstrual period, metal pieces in body (such as heart jumping devices etc). Taking other diet medicine, we suggest that stop taking those diet medicines and do ultrasonic treatment 1-2 months later; or prolong treatment period. 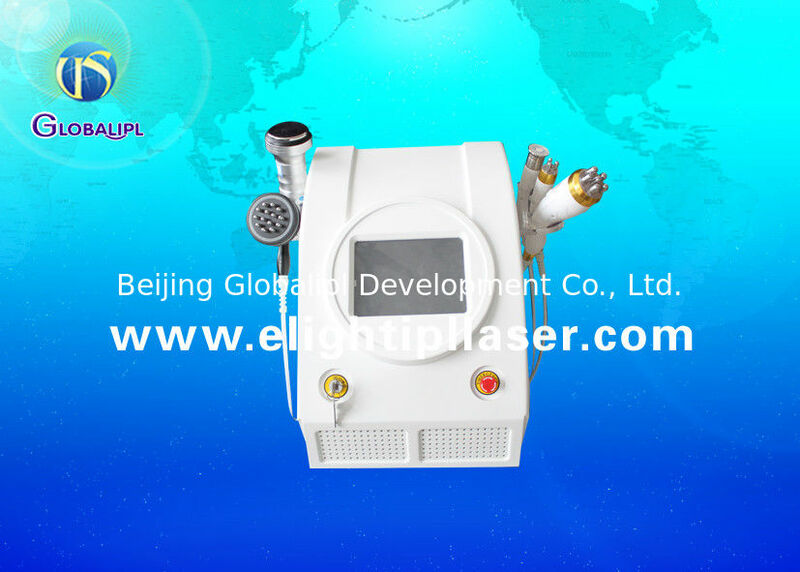 China Good Quality IPL RF Beauty Equipment Supplier. Copyright © 2012 - 2019 elightipllaser.com. All Rights Reserved.